After this biographical statement by John, please read below for an interview. For the past decade, John Craigie has “lived the life romantic” of a continuously touring folk-singer, taking his unique musical style across the United States and the world. A singer, songwriter and storyteller, he stays true to the essence of folk music, and the traditions of the seminal writers of our past century. With timeless melodies and insightful lyrics—interspersed with witty storytelling—his songs take many poetic turns before bringing his listeners back home. His themes range from social commentary to personal empowerment, political satire, and modern love. John’s live performances – in private homes, cafes, festivals, and sold-out venues – inspire and delight his audiences, who welcome him like a long-lost son and return to see him whenever he visits. He has traveled around the world, having played in all 50 states and beyond, bringing his music to nearly every corner of the planet. His fans span generations, political ideologies and geographic locations, but they are all charmed by the dynamic yet humble troubadour peering out from under his signature cap. John Craigie writes, sings, and plays for the people. I grew up in Los Angeles surrounded by a very commercial and strange music scene. When I first started playing guitar it was hard to fully understand the creative process. It wasn’t until I got out of that city and went to college in Santa Cruz, CA that I got to see real people writing real music. It was then that I was able to tap into my true process. Who and what have you been your influences? I was originally influenced by Bob Dylan and Joni Mitchell. As I discovered more music from the folk genre I was turned on to the music of John Prine, Arlo Guthrie, Greg Brown, Todd Snider, and many other modern songwriters. My live performance is also influenced by many standup comedians like Mitch Hedburg, Brian Regan, Steve Martin, and George Carlin. What role does geography play in your music? Geography plays a huge role in my songwriting. Most of my songs are created and influenced by my travels and things that happen to me on the road. Also, a big part of my intention when I play is to encourage the audience to explore outside their bubble and see more of this world. How has being from California affected your work? It’s hard to say. I think the west coast vibe is a lot more mellow and easy-going, which are characteristics that definitely help on tour and in the awkward business side of music. Also, growing up with your back against the ocean, and it being a sort of metaphorical wall, I fell like it encourages travel and escape. In what ways is your music feminist? How does gender affect your writing? I try to add subtle aspects of equality to my music. It goes without saying that usually when a person goes to see a folk singer they usually assume I am liberal and my songs tend to have those overall themes. I have found that in the modern-day, the “protest song” or the overtly “political song” has become a little tired and cliché and is a delicate medium to work in. That doesn’t mean, by any measure, that we can’t be political or protest with our lyrics. But it does mean we need to find more clever and interesting ways to express it. It’s important, especially to the younger generation that comes to my shows, that I leave them feeling empowered and trusting in themselves – regardless of who they are. What inspired you to make a song about Burning Man? Burning Man is a very eclectic gathering of people and is very fun to commentate on. Even though it is a very small percentage of people who go there, most of my fans know about it. And I can use it as a metaphor for society, social gatherings, and other things. I have a lot of advice for aspiring musicians 🙂 But it really depends on what they want to do. The main thing I try to hammer home is that, whatever they want out of being a songwriter, they can accomplish on their own. Without the involvement of the dark sides of the music business. That if they have patience and determination they can really create a pure and independent form of music that can be reached and listened to by all. And even though they choose to be independent, there are still a lot of sacrifices involved in a career in music. But, like I said, it all depends on what they want to do with music. That’s really where the conversation starts. I just released a live album in February, and I have a new studio album coming out later this summer. My new studio album is called “The Apocalypse is Over” and is heavily influenced by the music and culture of New Orleans, and the rest of Louisiana. 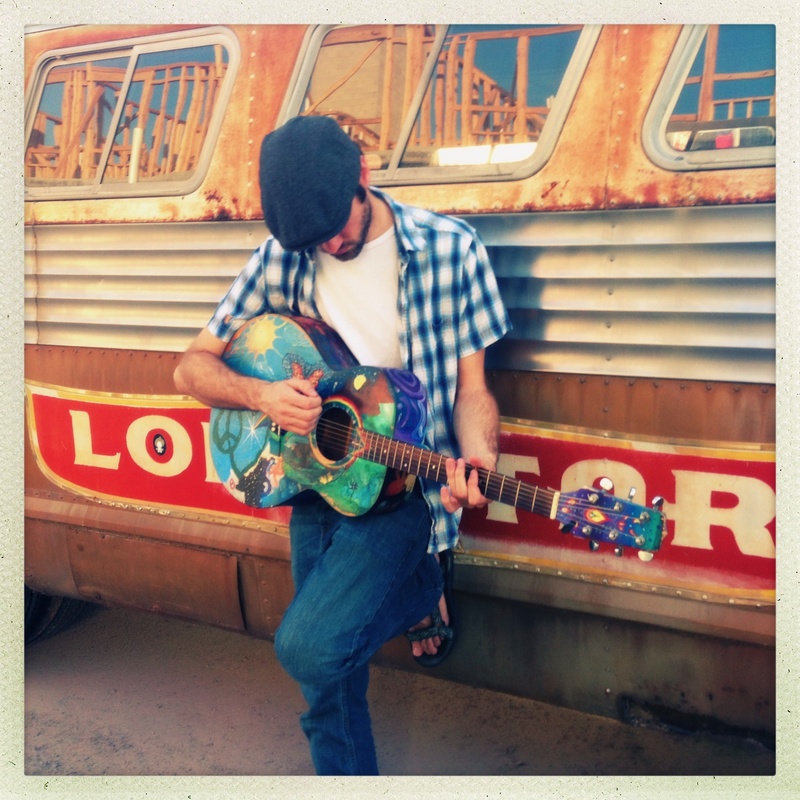 ← Musician Interview: Steven Gilpin!